Tat (Healer) Miguel passes on valuable knowledge to the new generation, Putumayo, Colombia (Photograph: J. Carrizosa). 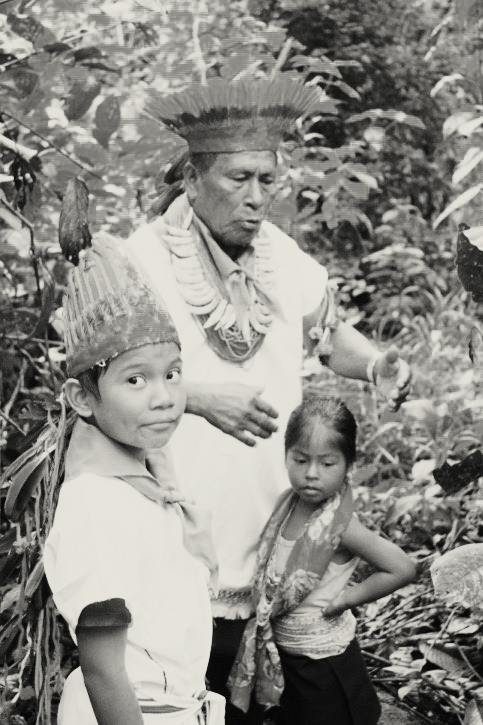 Since 2004, the International Society of Ethnobiology (ISE)’s Darrell Posey Fellowship Program for Ethnoecology and Traditional Resource Rights has supported indigenous leaders, community groups, ethnobiologists and graduate students around the world who are working to promote Indigenous, human and traditional resource rights; conduct ethical and innovative action-oriented ethnoecological research; and address pressing social and environmental concerns. Indigenous leaders like Benki Piyãko Ashaninka, working to secure land and resource rights, and resist the incursions of mining and other companies onto indigenous lands in the Brazilian Amazon. Ethnobiologists like Jenne de Beer, promoting the traditional food systems of indigenous communities in the Philippines. Graduate students like Joaquin Carrizosa, supporting the cultural traditions of Indigenous groups in Colombia who are under enormous pressure from violent forms of development and encroachment upon their lands. In all, 10 small grants, 5 field fellowships, and 8 student fellowships (PhD and Masters) have been awarded. These awards have spanned the globe, totaling 11 countries including Brazil, Colombia, Guatemala, Chile, Peru, Iran, Canada, Kenya, South Africa, Philippines and Cambodia. Support for these types of groups and individuals is limited, and they often fall through the funding cracks. Through its support of dozens of remarkable people and projects, the Darrell Posey Fellowship Program has created real change in threatened communities and environments around the world. The ISE is a non-profit 501(c)3 scientific and educational society registered in the USA. Citizens of this country may request tax receipts for their donations.